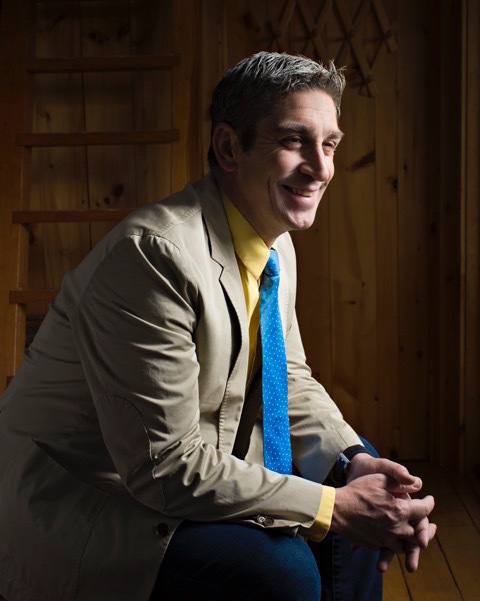 The last time that acclaimed poet and memoirist Richard Blanco read to a sold-out crowd in Ashland, Oregon, he’d recently been named Barak Obama’s Inaugural Poet. He returns to Ashland on Monday, April 16, where he will give a teachers’ workshop and read at Ashland High School’s Mountain Avenue Theatre. Included in his presentation will be pieces from Boundaries, a new collaborative venture with photographer Jacob Hessler. Their work explores the dividing lines that shadow the United States. Through a crackling cell phone connection between two coasts, I sat down with the poet philosopher, Blanco to talk about his upcoming visit. He’s a forthright, yet soft-spoken man who has a charming habit of ending his sentences as if he were asking you a question, or extending an invitation. I ask him to talk to me about the function of poetry within the individual and within the culture. The universal questions of who we are and where we belong weave their way into Blanco’s poetry. Stevenson Union, #316, 1250 Siskiyou Blvd., Ashland.